Like a good parent, the Kinect knows how old you are and what you're allowed to watch. Just in time for its Kinect-friendly dashboard update, Microsoft has plans to do even more with its distinctive camera peripheral. In a recently-filed patent, Microsoft proposed technology for a 3D camera (like, say, the Kinect) to measure a person's body and guess his or her age based on measurements of height, torso width, limb length, and their respective proportions. Once the Kinect has determined how old a player is, an Xbox 360 can filter out any age-inappropriate content, all without manual programming. 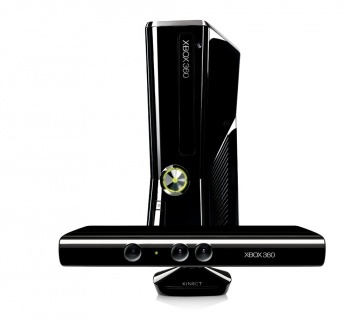 Microsoft has taken great strides to transform the Xbox 360 from a dedicated gaming machine into a family-friendly entertainment center via partnerships with TV providers, dashboard updates for less tech-savvy users, and an emphasis on casual games for the Kinect. With this new demographic comes a younger audience, and a clever kid can usually outwit his parents' console restrictions. Petite people have nothing to fear, though, as the whole system can be controlled with an administrator password. Parents who want to watch and play with their children are also covered, as the Kinect will be able to determine the relative ages of everyone within its purview and settle on a compromise rating. For example, a child may only be able to play E-rated games, but the presence of a parent (or a very cool older sibling) in the room might bump the restriction up to T.
The patent is still pending approval. Even if the government grants it, there's no guarantee that Microsoft will implement the tech. Big companies don't just go around filing patents for fun, however, so don't be surprised if this shows up in a future 360 dashboard.